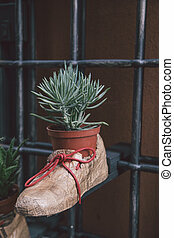 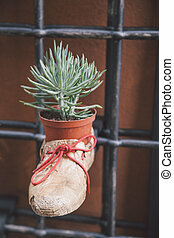 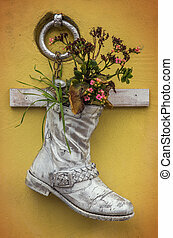 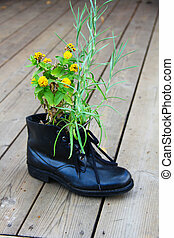 Boot planter. 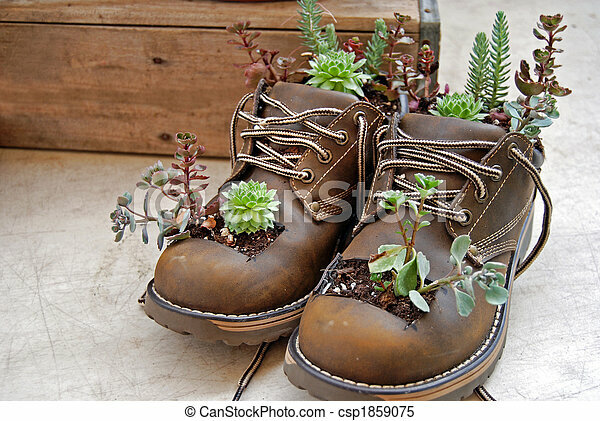 Plants growing in a pair of old boots. 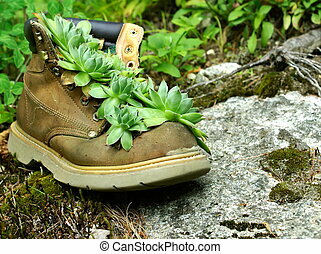 Plants growing in a pair of old boots. 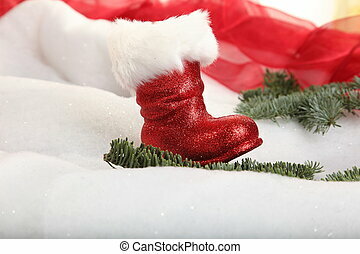 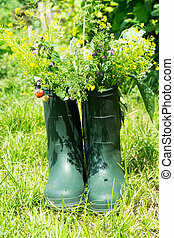 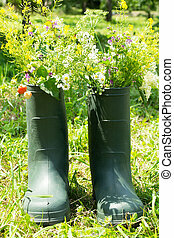 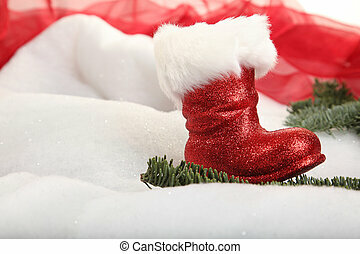 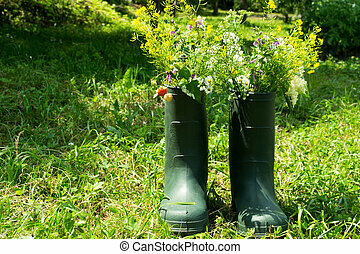 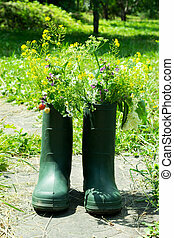 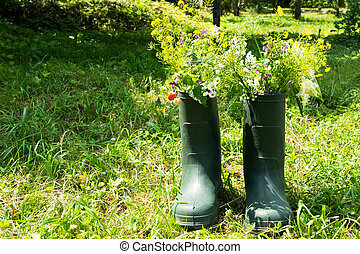 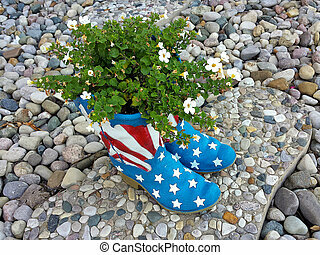 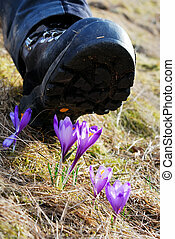 Flower plant in a pair of flag boots. 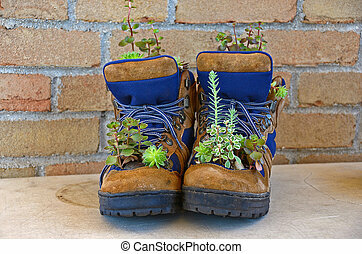 Small cacti plants in work boots. 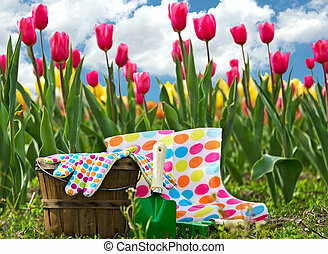 Garden tools with boots and gloves in tulip garden. 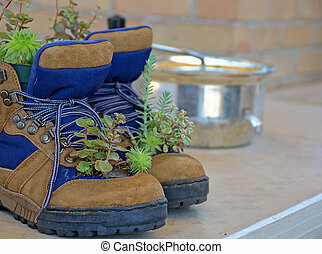 Small cactus plants growing in work boots. 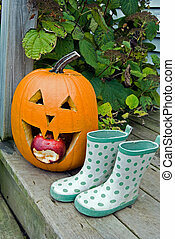 Fun boots with Halloween pumpkin. 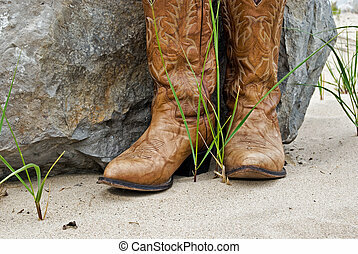 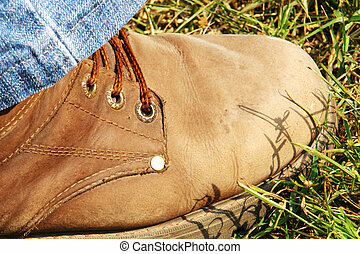 Pair of cowboy boots by a granite boulder.